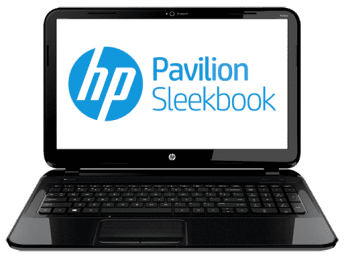 HP Pavilion Sleekbook 15 is a line of ultra-portable laptops and ultrabooks with a brilliant 15.6-inch LED display, Microsoft Windows 8 with its modern UI, live tiles, and multi-touch touchpad with gestures. HP Sleekbook 15 Price in Nigeria starts at around 105,000 Naira depending on the configuration and your location/store. Cheaper models may also be available. HP Sleekbook 15 is available in different configurations. Although they may all look alike, inside, they are different. Depending on configuration, the HP Sleekbook 15 may come with Intel core i3 or core i5 processors or AMD processors. On board RAM and HDD also varies. Below are HP Sleekbook 15 price in Nigeria for a few models in the line. We will add more models in future. Confirm specs at the store before you buy. Here are general specs of the HP Sleekbook 15. If you need more information, read our HP Sleekbook 15 article. HP Sleekbook 15 price in Nigeria varies depending on your city of residence and/or the computer store you choose to buy from. You can buy from leading computer stores in Nigeria or from reputable online stores in Nigeria. NaijaTechGuide does not offer any price guarantees, HP Sleekbook 15 Price in Nigeria may change without being reflected on this page immediately. These are only price suggestions. We will be adding prices of more models in future. The price listed on this page is in Nigeria Naira.